It is sometimes difficult for car makers to produce concept cars that are relatable to the mainstream. Many are such outer-worldly design studies based on imaginative futurism, and little else; we look at them and think ‘yeah that looks cool, but will probably never happen’. 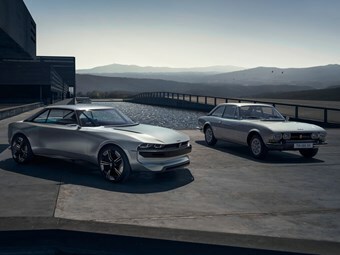 There are - on the other hand - concept cars like Peugeot’s E-Legend concept; that in equal measures look to the past in order to gaze into the future. Its heritage-filled lineage can be tangibly traced to the brand’s future design language. 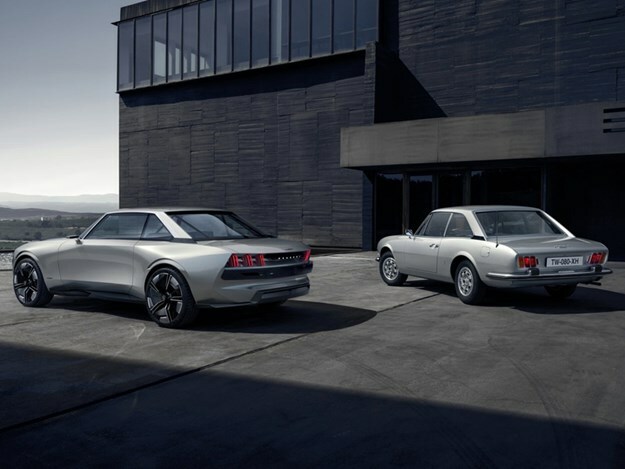 Peugeot released images of its E-Legend coupe ahead of next week’s Paris Motor Show. It blends Peugeot’s modern design language with the classic proportions of the 1960s Peugeot 504 (which also debuted in Paris in 1968). The futuristic coupe bears similar short overhangs before and aft each axle, and its signature geometric and sharp roofline with indented rear glass and unique C-pillar share an instantaneous link to the past. Similarly, its evolutionary three-section tail light assembly hark back to the 504, as does its indented quad headlights. 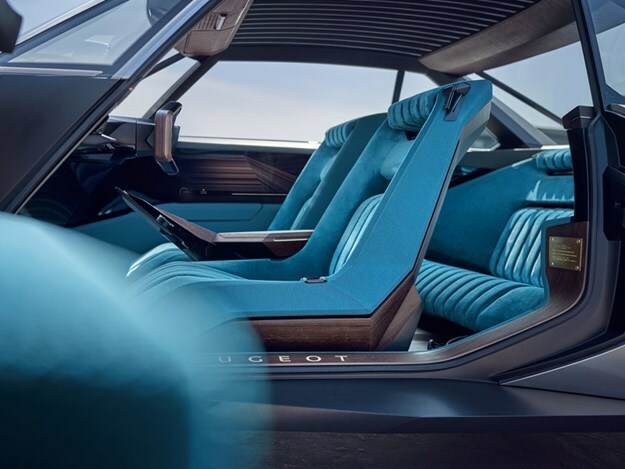 Inside the cabin, it bears one of the hallmarks of modern Peugeot design in the form of its angular steering wheel, contrasted with the retro-tastic blue interior with vertically stitched seats. The most stark futuristic aspect of the car is its drivetrain. While the original 504 was powered by a variety of inline-fours (and one V6), the E-Legend is electrically powered, and autonomously capable. 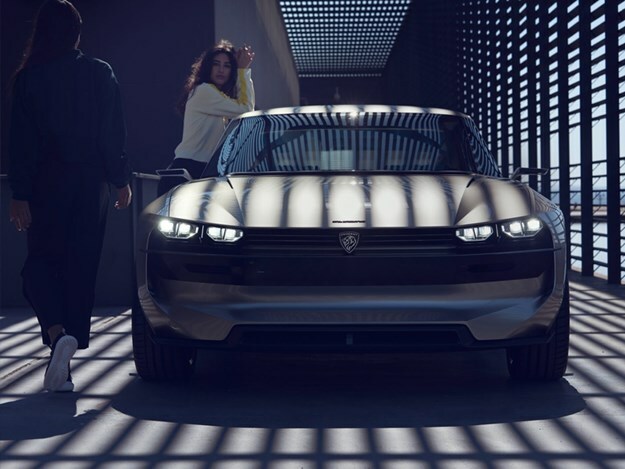 Peugeot’s press release highlight that "boring isn’t in [their] DNA", and while many of us bemoan the prospect of driverless cars – the E-Legend concept is reportedly ableto drive itself autonomously, but also able to yield controls to the driver. Whether it’s the work of the marketing department or not; we love to see brands continue to embrace the cars of old we love so much. 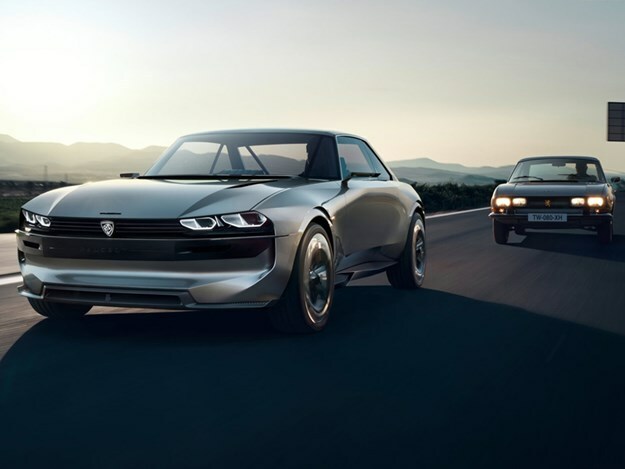 You’ll be able to see Peugeot’s E-Legend in the metal next week at the 2018 Paris Motor Show.